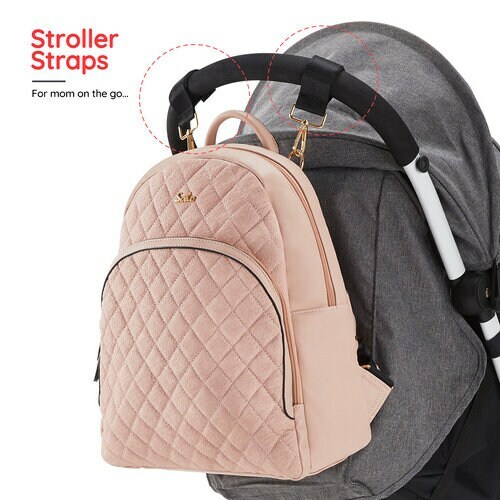 Authentic vegan leather baby diaper bag backpack. Size:12L X 6W X 17H Inches. Large Capacity: Featuring 15 pockets. Including a Large dual zippered main compartment. Water resistance lining. 6 outter and side pockets with 3 insulated pockets in the front to keep things warm or cool. 9 inner pockets with 4 mesh pockets to locate thing in seconds. 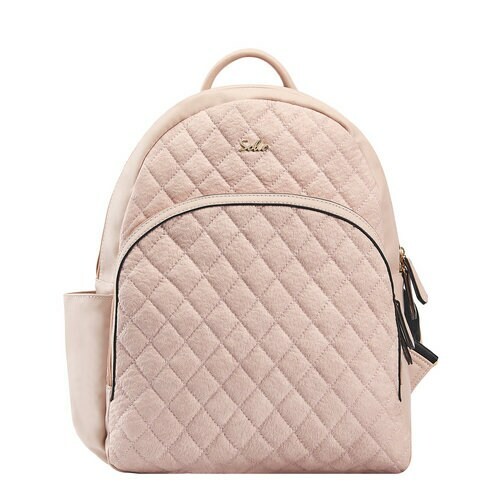 This bag also come with a security zippered back pocket, that can hold valuable such as cash, credit cards and IDs. Extra wide dual zipper opening, Adjustable straps and convenient top handle. 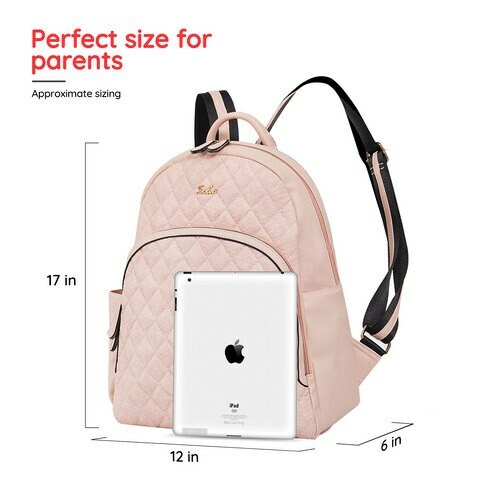 Which can hold tablets and laptops up to 15’’ inches. 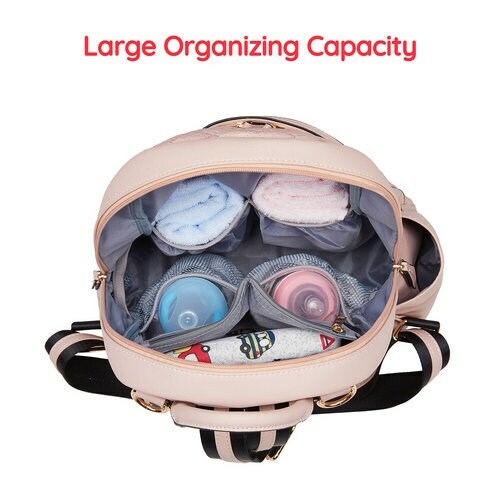 It will have enough space for all your essentials such as toys, bottles, diapers, extra clothes and much more. It come with a changing pad and a pair of stroller straps. 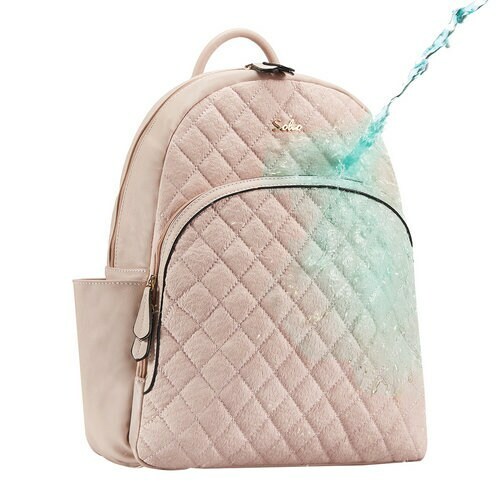 Easy to wipe clean and water resistance lining.